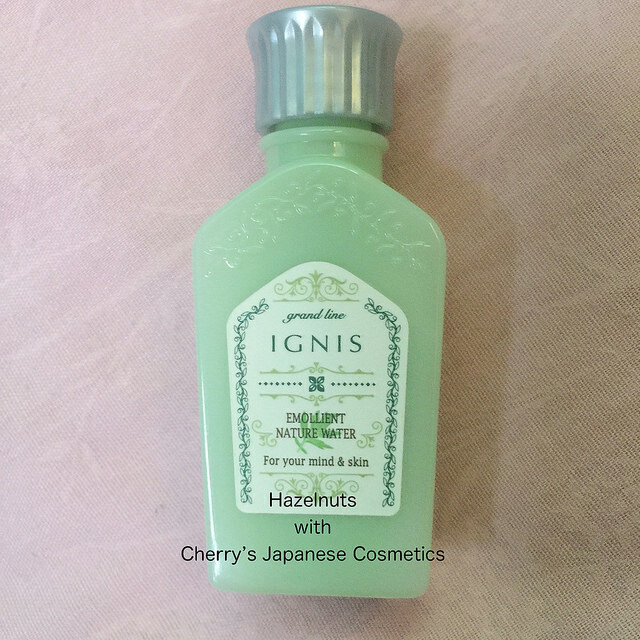 We also got a small bottle of Ignis Emollient Nature Water, and asked Hazelnuts of Philippines to review this. Ignis Emollient Nature Water is a lotion/toner meant for use in autumn/winter season. It has a soft, milky rich texture which is meant to provide a more intense moisture for the skin. The scent is very herbal and soothing, similar to its counterpart, the Emollient Nature Milk. What I find interesting about this is that I feel that my skin becomes moist instantly when I use this water — I can use it alone, actually— without feeling greasy at all. For optimum moisture, it is recommended to use the Emollient Nature Milk first, followed by this product. I pat it all over my face after the milk and the dryness around my cheek area is gone. It is very soothing especially when the weather is cooler, and you can just use more to adjust your moisture preference, depending on your skin type. At one time I had redness/irritation on my left cheek, and for fear of breaking out, I opted to use this water and skipped serum and cream. The next morning, the redness was gone. I also observed that because of the moisture, my pores are not as visible when i use this. With that, I feel that it’s a good product. As I have said, this product is quite soothing and calming for my skin. I can use it alone, as I feel that it. And seems she is using this lotion alone, and seeing her review, I may also do that 😀 The BCs often pushes their “methods” strongly, but I think asking your skin itself is the best way. Please check the latest price, and order from here: “Ignis EMOLLIENT NATURE WATER”, or in JPY Branch!